Emreco has designed this loose fitting pullover using a special anti-piling fabric that helps to reduce bobbling. 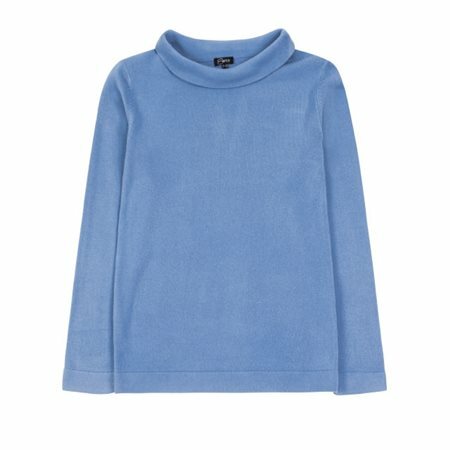 The soft feeling fabric in baby blue is a lovely colour to wear this season with jeans and tailored trousers. The pullover has long sleeves and an elegant folding neckline.